I saw this picture posted on a Student Affairs page this week and I thought this truly related to what I am going through as new professional. You can come to your new institution and bring about change or continue doing things like they have always been done. It is important that change can sometimes be scary, but you need to be willing to adjust. As you are in your role as a Student Affairs professional, it vital to realize the importance that change can bring to your department, even though you may be chartering into an unknown territory. Change can be a daunting thing to plan and implement on a college campus. This is a topic that can cause resistance from not only students but also administrators as well. It is important to know how you are going to handle those that are nervous of change and want to challenge you on it. This is where your reasoning for having the change is good to know. Once you are able to let others know why you are putting the change in motion, they are more likely to support it. Most people want to be educated on why changes are happening before they are able to support them. Once you are able gain to support from those around you it is easier to implement change. 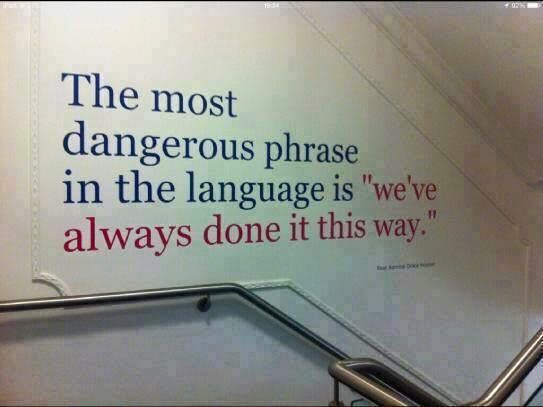 The importance of change is realizing that you cannot always do everything the same way. There has to be times when you are willing change things in order to accomplish a task. By creating an environment where change is accepted you are getting people to think about the ways things have been done in the past and the processes that are currently in place. In order for change to happen it has to be something that people want to redesign. Through having an institution that is open to change you are creating an environment where students feel like they can openly communicate when there is a problem. Being a Student Affairs professional the way we do things in our field is changing on a daily basis. 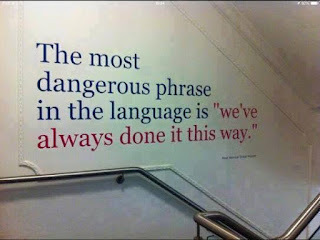 What are some changes that going on in your department and how you are able to adjust to them in the proper manner?